Kim Knauer is a sculptor in the Philadelphia area. She is a practicing sculptor who continues to show her work locally as well as across the country. Her work explores the complexities of the human experience, looking to the past as a means of discussing the future. Humor plays an important role in her work as she manipulates both words and found objects in her creations. 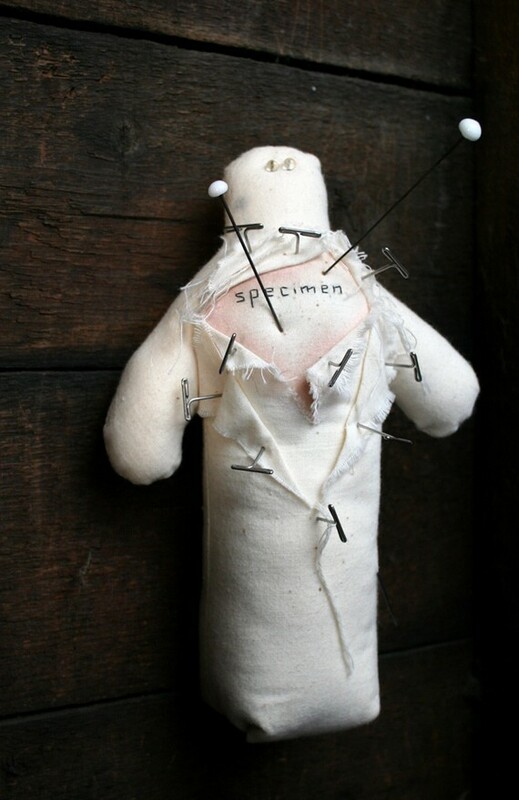 Her on going series of Voodoo Dolls includes nearly 300 dolls and has span more then a decade.